The Louisiana Gulf Coast is one of the most important ecosystems in the world, producing one-third of our nation’s seafood and a significant percentage of its oil and natural gas. Unfortunately, erosion threatens the very existence of this Edenic marshland. 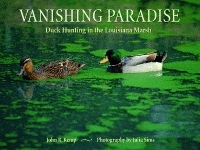 Among the most fervent champions of the shrinking Louisiana wetlands are the members of the twenty-six private and commercial duck-hunting clubs profiled here. John Kemp and Julia Sims visited these exclusive enclaves to capture—in words, pictures, and recipes—their vanishing traditions. 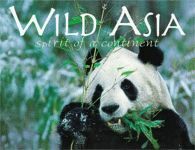 Lavishly illustrated with stunning color photographs, this visual tour through the largest continent on earth accompanies a major ten-part documentary appearing on the Discovery Channel this fall. Hardcover. 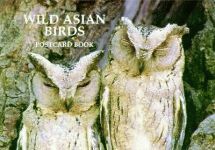 Wild Asian Primates Postcard Book includes the work of some of the world’s top wildlife photographers. 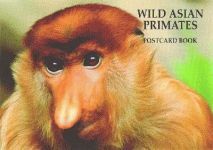 This is a remarkable and timely tribute to the primates of this seldom-photographed continent. Postcards.